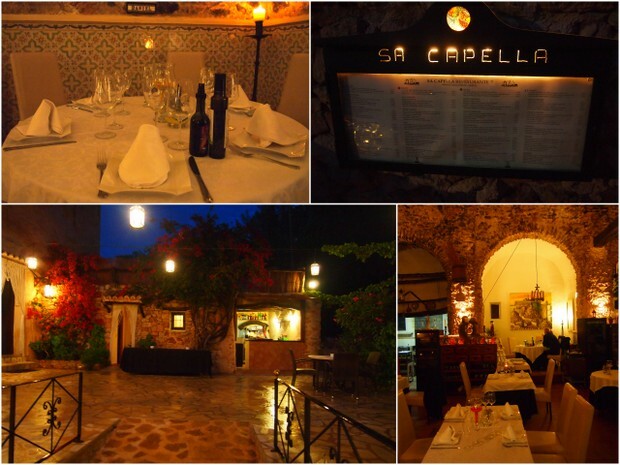 Originally a XVI century chapel, Sa Capella has been refurbished into one of Ibiza's most delightful establishments - it has been running as a restaurant for approximately 35 years. The restaurant is frequented by local regulars and visitors to the island including Tom Hanks, Sting, Naomi Campbell, Elle McPherson who have all eaten here. 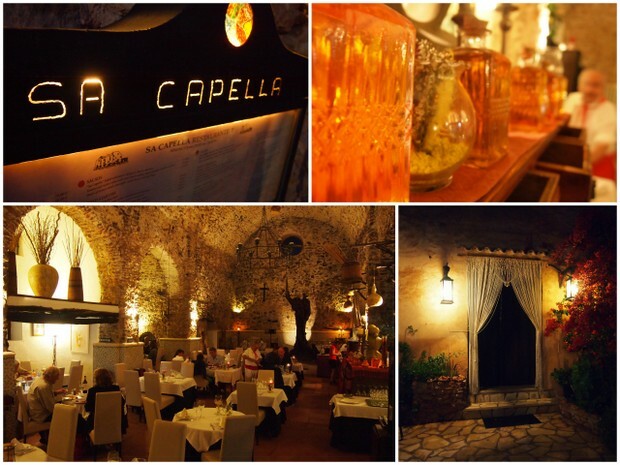 The atmosphere is magnificent - you can almost feel the history running through the chapel walls as you dine. Inside is romantic and candlelit complete with dining booths, sculpture and stone walls and on warm summer nights, customers can also dine on the chapel terrace fresco under the bougainvillea. Ideal for those looking for a romantic candlelit dinner with a historical feel - in the hills between San Antonio and Santa Agnes. They say the chapel is haunted by the original owner, Pepita. She was a solitary person who spoke to no one apart from the animals she lived with including goats and chickens. When she was 90, she died in one of the side chapels and since then the glasses in this chapel break without any apparent reason. Drive from San Antonio towards Sta Agnes and take the first exit up the right hill.